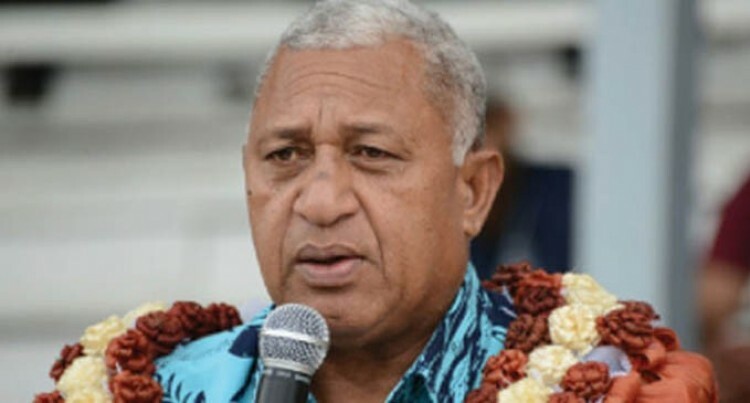 Prime Minister Voreqe Bainimarama, during the Fiji Rugby Union Annual Awards Gala on Friday night, spoke some sense to disgruntled fans who took to social media to criticise the Fiji Airways Fijian 7s players. The verbal attacks which were personal in nature came last Sunday soon after the Fijian 7s team lost to New Zealand in the Cup semi-final of the Sydney 7s. This was a far cry a week earlier when the Gareth Baber-coached side were regarded as heroes after they won the New Zealand 7s at the FMG Stadium in Hamilton. Mr Bainimarama, who is also the FRU president, reminded them that the players are mere humans who sacrificed a lot to be where they were today and such cowardly attacks only inflicted more pain on them. “I want you to never be blinded by your passion for the game, and never forget that these players are, above all else, Fijians,” he said. “They are people, just like you and me. That’s why I was so disappointed to hear that players on our 7s team have become the victims of online hatred and bullying, with “keyboard warriors” levelling personal attacks on social media. Mr Bainimarama said even our 7s players– among the strongest men in our country – they are not immune to the immense pain that can be inflicted by cowards on computers. He also highlighted his disappointment on political statements being made about our team, going so far as to suggest they should intentionally lose their games as some form of protest. So, Mr Bainimarama says, let’s keep it that way, and pledge our support to the players through thick and thin.